The second season of F1’s esports series is pretty serious stuff. With every F1 team except Ferrari getting involved, competitors actually have the chance to be signed by a real F1 team, which is incredibly cool. 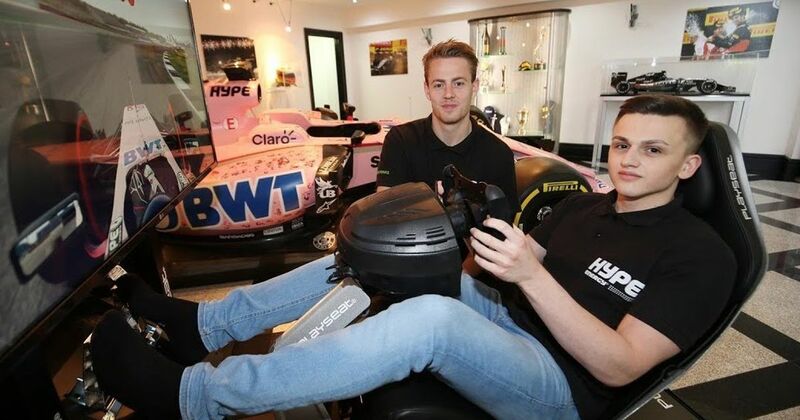 22-year-old Dane Mads Sørensen and 19-year-old German Marcel Kiefer have just been signed to Force India’s own team, called ‘Hype Energy eForce India’, and will compete in the F1 esports championship later this year. Sørensen raced in the inaugural F1 esports series last year, finishing 15th overall and setting the fastest lap in the Abu Dhabi finale. Not bad, considering he’s only been sim racing for three years. Kiefer, meanwhile, is even less experience. He only started competitive sim racing when F1 2017 was launched less than a year ago, but still managed to get all the way to last year’s semi-final stages. There’s more to it than simply representing Force India on a game. Both drivers will get access to both the facilities at the factory and expertise from the team as the level of professionalism in sim racing and esports continues to rapidly rise. The team will also pick another driver from the ‘pro draft’ portion of this year’s F1 esports series, with all three drivers going on to compete at the live events later in the year.